This mesh cradle is designed to fill the gap between the mattress platform and the side rails on a Sidhil Bradshaw Bed. It comprises padded sections for the side rails linked together by mesh sections passing underneath the mattress. 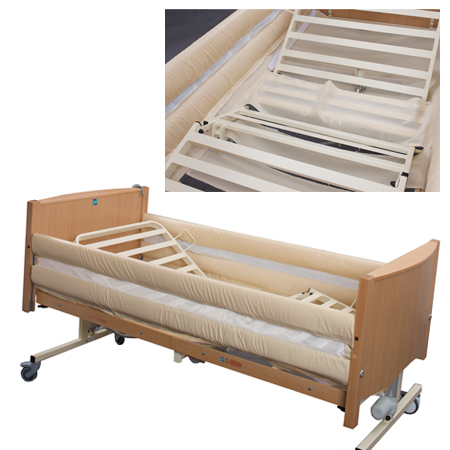 The unique make up of the cradle allows the bed to be profiled as normal.